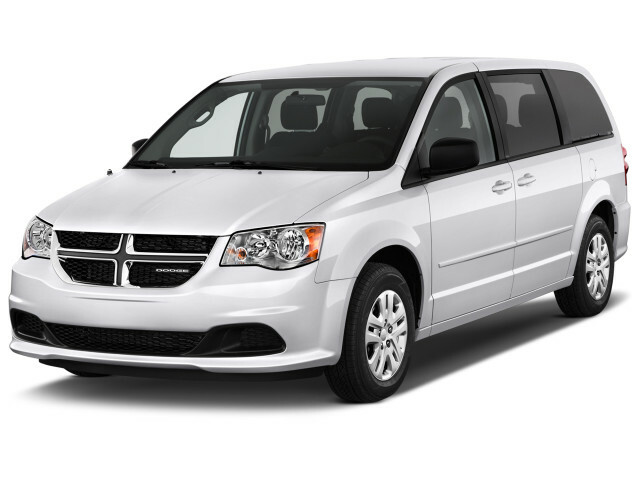 The Dodge Grand Caravan is on its last legs, which means we only recommend the cheapest one you can get. The 2018 Dodge Grand Caravan is a minivan that's past its sell-by date. 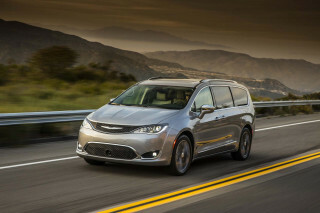 It's outclassed by its corporate cousin, the Chrysler Pacifica, and other competition. The Grand Caravan's claim to fame is its low price. The Grand Caravan has been around in its current iteration since 2008 with only one update since, and it shows. Today, it’s available in SE, SE Plus, and SXT trim levels, each of which undercuts most rivals. Then again, that whole “you get what you pay for” phrase comes in handy here since the Grand Caravan has a chintzy interior, a clomping ride, and a subpar safety record. Under its short hood sits a 283-horsepower version of the company’s 3.6-liter V-6 gas engine paired to a 6-speed automatic that shuttles power to the front wheels. The V-6 is strong, but the Grand Caravan’s weak structure and firm suspension results in a chuck wagon-grade ride quality with rattling interior trim to really set the mood. At least the van benefits from Dodge’s traditionally solid packaging. The optional Stow ‘n Go seating arrangement features two thinly padded second-row bucket seats or a two-place second-row bench plus a three-seat third-row bench that tumble their way into the cargo floor when not in use. The net result is a commendably flat, wide, and long cargo area ready to swallow whatever life throws at you. 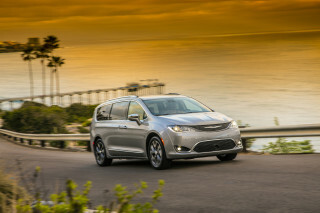 The Grand Caravan’s only rival in this respect is the far more modern Chrysler Pacifica, which is one of our favorite family haulers. 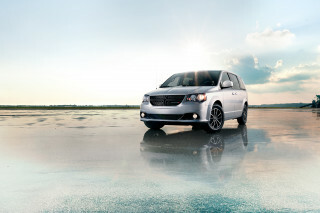 The Pacifica tops the Grand Caravan not only on its roominess, but also in its safety record—something we think most families would place at the top of their shopping lists. The 2018 Dodge Grand Caravan looks like it’s 10 years old—because it is. The 2018 Dodge Grand Caravan is a relic from the past, something that’s obvious the first time you take a look at it. This slab-sided, boxy van’s interior hardly redeems itself with its tall center stack and blocky design. 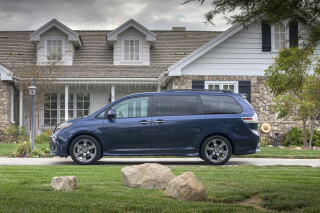 Outside, the Grand Caravan looks narrow—but at nearly 79 inches wide, it’s hardly lithe. 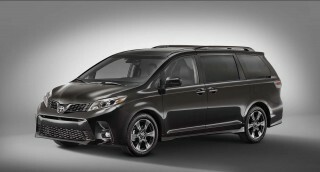 The van’s slab sides and near-vertical tailgate hardly help things. SE trim levels ride on particularly dour steel wheels, but other models have aluminum wheels that can be finished in silver, dark gray, or black. Things don’t change much inside, where the Grand Caravan sees most of its controls grouped together in a tall center stack array. Audio controls are up top, followed by climate controls and a smattering of pockets for snacks, mobile phones, and the like. It’s not so much that the Grand Caravan is miserably bad, it’s that its rivals surpassed it—in some cases many, many years ago. A strong engine isn’t enough to overcome the 2018 Dodge Grand Caravan’s lumpy ride quality. Under the 2018 Dodge Grand Caravan’s short hood sits a version of the automaker’s 3.6-liter V-6 engine paired to a 6-speed automatic gearbox. That’s enough to propel the Grand Caravan with authority, but we’ve canceled out that point for this van’s chuck wagon-grade ride quality. 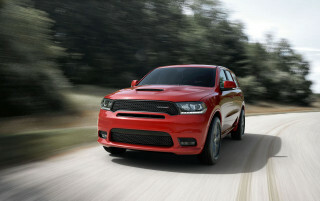 In this application, the V-6 is rated at 283 horsepower and 260 pound-feet of torque. The standard-issue 6-speed automatic fires off quick shifts with a minimum of gear hunting. The engine is muted and distant and it delivers excellent straight-line acceleration. Over even the roughest terrain, this van mutes out the rest of the world reasonably well. Unfortunately, this is a lot of engine for the Grand Caravan’s dated chassis, meaning the wheel can tug to one side under hard acceleration. All Grand Caravans share the same suspension settings and 17-inch alloy wheels are standard on SE Plus trims and higher. That’s a shame because this van rides fairly firmly and seemingly transmits every road imperfection to the cabin’s trim panels. Our last several Grand Caravan test vans have had a cacophony of loose trim pieces scattered about the cabin. The 2018 Dodge Grand Caravan’s interior is roomy and its Stow ‘n Go seats are versatile, but it feels cheap and the second and third row seats are particularly stiff. 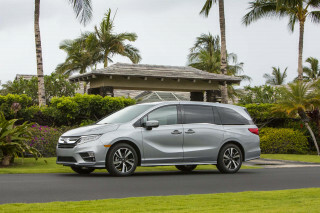 Minivans are renowned for their flexibility, and despite the 2018 Dodge Grand Caravan’s age, it offers up good room and some terrific storage options. The third row does the same, albeit with a single tug of a lever for the entire unit. Only Grand Caravan SEs are available with a second-row bench seat setup; other models have individual captain’s chairs that aren’t great for the long haul. Up front, you’ll find a pair of thrones with decent outward visibility and excellent adjustment options. Where the Grand Caravan especially comes up weak is in terms of its interior materials. Soft touch plastics do adorn the top of its doors and dash, but what’s leftover—and that’s almost everything—feels positively budget-grade. Woeful crash-test scores and a lack of advanced safety equipment make the 2018 Dodge Grand Caravan a tough sell for families. The 2018 Dodge Grand Caravan is certainly safer than an older minivan, but its crash-test scores and lack of advanced safety equipment would give us pause. Grand Caravans come fitted with seven airbags, stability control, anti-lock brakes, and a rearview camera, but features like adaptive cruise control, automatic emergency braking, and lane-departure warnings are not available. However, the Safety Sphere package optional on the Grand Caravan GT trim only level pairs rear park assist with blind-spot monitors and rear cross-path detection. The 2018 Dodge Grand Caravan trades mostly on its low base price and not its high feature count. The 2018 Dodge Grand Caravan is priced to sell and discounts should be readily available. It lags behind newer rivals in terms of standard equipment, so we’ve docked a point for its spartan base spec. But we’ve added another back for its terrific Stow ‘n Go stowable second and third-row seats that offer an especially high degree of flexibility. The Grand Caravan starts in value-oriented SE trim, where it features standard power windows and locks, a rearview camera, a 6.5-inch touchscreen infotainment system, three-zone air conditioning, and 17-inch wheels. Bluetooth connectivity is optional and it’s bundled with an auto-dimming rearview mirror and a leather-wrapped steering wheel as part of the Uconnect Handsfree option package. Next up is the Grand Caravan SE Plus, which comes with the Uconnect Handsfree package and builds on the SE with standard black-finish alloy wheels, a small center console between the front seats, and captain’s chairs in place of a bench seat in the second row. 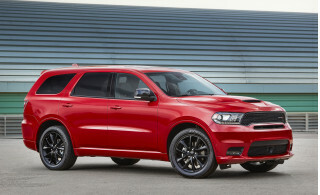 The SXT trim adds an upgraded center console, a power driver’s seat, gray-finished alloy wheels, automatic headlights, remote start, and a roof rack. Optional on the Grand Caravan SXT are some goodies like heated front seats, a heated steering wheel, and a Garmin in-dash navigation with a 6.5-inch display. Leather is also optional and it’s bundled with black wheels and a few other exterior styling touches as part of the Blacktop Package. All versions of the Grand Caravan can be fitted with a rear-seat DVD entertainment system with a single 9.0-inch screen, although a few iPads are probably the better investment these days. Newer designs eclipse the 2018 Dodge Grand Caravan’s fuel economy. 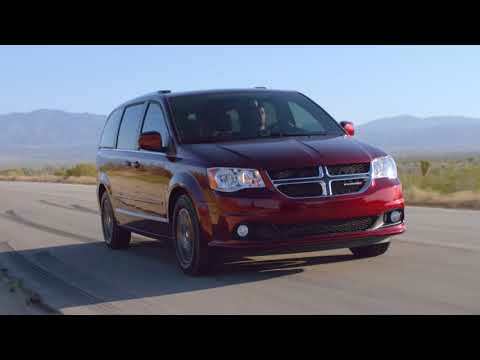 The 2018 Dodge Grand Caravan’s fuel economy is just so-so for a minivan: it’s rated at 17 mpg city, 25 highway, 20 combined. 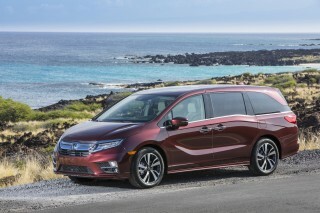 Those models are helped out by their 9- or 10-speed automatic transmissions that give them more range than the 6-speed utilized in the Grand Caravan. The Grand Caravan runs on regular unleaded. Get CAA or AAA, only vehicle that ever broke down and left us stranded. Twice! This was my third and last Dodge. So nervous to drive this Dodge Caravan from new! Brakes failed on first inspection, Chrysler refused to come good for it.